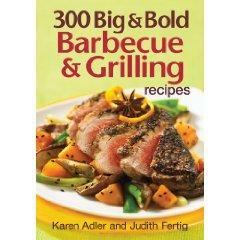 Who better to help you find the world's best hamburger recipe than the BBQ Queens, Karen Adler and Judith Fertig? As authors of numerous cookbooks, including 300 Big and Bold Barbecue and Grilling Recipes and The BBQ Queens' Big Book of Barbecue, the two have the inside track on what it is that makes a burger recipe truly great. Adler and Fertig share a few of their favorite burger recipes with LoveToKnow Best readers, along with their thoughts on what makes a burger great. Ooooh-la-la! Start out with a juicy, grilled beef burger, then top it with sauteed shallots, Bearnaise sauce made from a mix (or Bearnaise Buttered and grill toasted brioche buns? ), and a little Roquefort on a brioche bun. Juicy and smoky, this burger might convert you away from beef. You combine the ground pork with buttermilk, onion, garlic, and herbs, then grill to a juicy finish, using a little hickory wood on the coals or in the smoker box on your gas grill. This burger is refreshing and tasty on a hot day. You combine the ground lamb with dessicated (not sweetened flaked) coconut and cashews, then top it with a fresh mango mixture. Grill some pita bread, and you've got dinner. Combine ground lamb with Moroccan spices and green onion, grill, then top with a harissa mayonnaise or tzaziki for a really bold burger. If you can pat a beef burger together, you can do a crab cake. Grill the crab cakes using a perforated grill rack (like a cookie sheet with holes punched in it) or a griddle, placed on the grill grates. Toast the cut side of a croissant with the Lemon Chive Butter and spoon some Creamy Mustard Sauce over the crab cake - deeelish!